I recently shared 20 impossible to ignore stats about the Pokémon Go craze that’s just getting started coast to coast. Here’s a visual representation to help you really take it all in. After taking all of these statistics in, I think you’ll agree we cannot ignore this cultural phenomenon. The icing on the cake is that many PokéStops are churches in each and every neighborhood. It’s time to check if your church is designated as a PokéStop — and if it is, you’re in luck. It will be a perpetual attraction for new visitors to your property. The question is if you are prepared to make acquaintances and engage with them. 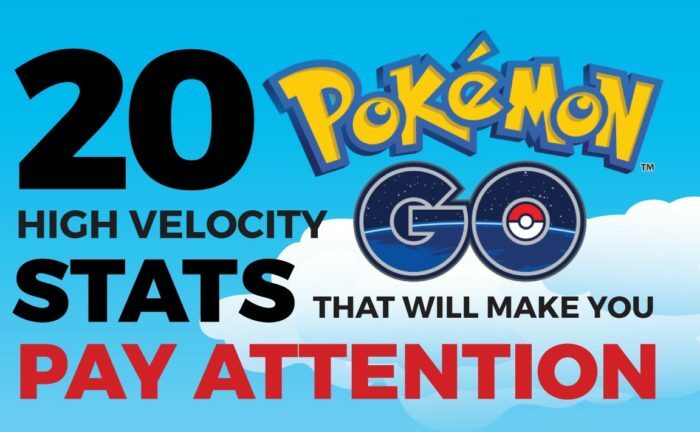 WHICH POKEMON GO STAT STANDS OUT TO YOU? Any that surprise you?